I can tell by my page view stats/history that you all have been very busy figuring out what to do with all your tomatoes and summer produce that's pouring in right now. 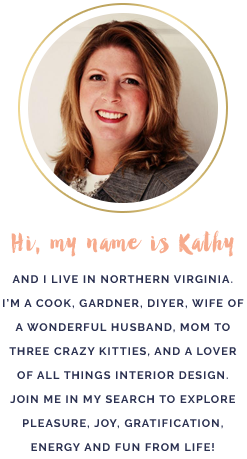 You've also been doing some cooking! What to do with all those tomatoes that you just don't have the time or patience to can or preserve right now? 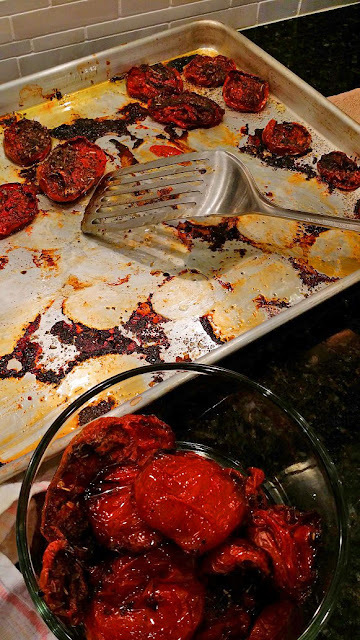 Imagine sun dried tomatoes in olive oil, BUT BETTER! I could barely stop myself from eating these right off the cookie sheet! I discovered this recipe from Alana Chernila and immediately set to work. She says that you'll "end up with something slightly shriveled, released juice, a little bit dehydrated, caramelized at the edges. It’s totally delicious right away; you could just pour the whole tray over spaghetti right away." I couldn't agree with her any more and that's exactly what I did last night for dinner. Whatever is left over will be tucked away in the freezer for future dinners of pasta, sauces, grilled chicken, casseroles, hell warmed up and eaten with bread and a glass of wine! Preheat oven to 275°. Clean tomatoes and slice in half. 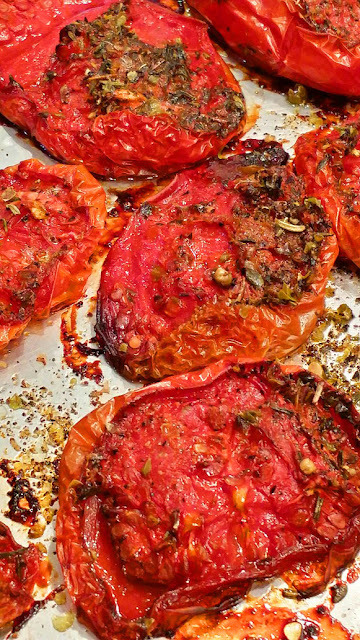 Arrange on a cookie sheet flesh-side-up. Give tomatoes a hearty drizzle with olive oil and sprinkle on salt, pepper, herbs, and garlic salt to your liking. 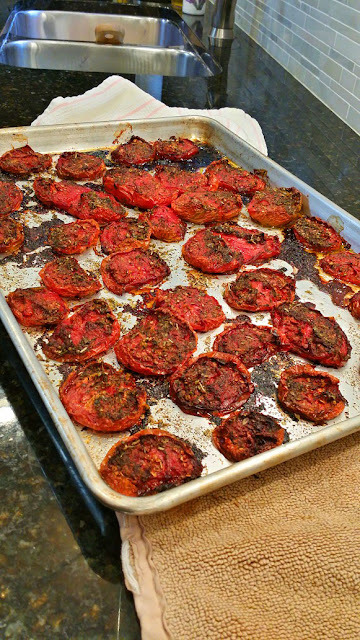 Place cookie sheet in the oven and slow roast approximately 3-5 hours, depending on the size and thickness of your tomatoes. You want them to be significantly shriveled reduced, but not dehydrated and tough. I roasted mine, which were a blend of medium-sized beefsteak tomatoes, for 6 hours. Eat right away, if you can control yourself, or freeze in a container or Ziplock bag. Can I just move in and live with you forever? The posts' photos are gorgeous and wonderful. Your phenomenal cooking skills are over the moon. Kudos girlfriend!!! !